As you may be aware 25th November marks the International Day for the Elimination of Violence Against Women and Girls, it is the beginning of 16 days of activism against gender based violence. 25th of November is also a date on which the White Ribbon Campaign (men saying no to domestic violence) encourage a lot of activity. 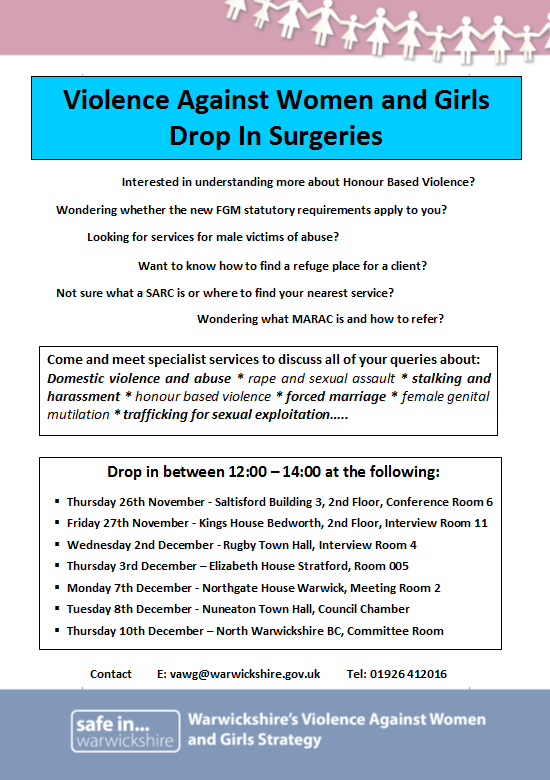 Various agencies are organising activity in Warwickshire for this period, including a seminar health services are arranging for 25th November itself.